ISLAMABAD: Fears mounted over Pakistan´s economic stability before elections this summer as the caretaker government pledged Tuesday to stem the current account deficit by using rapidly dwindling foreign currency reserves. There is growing speculation that the country will have to seek a loan package from the International Monetary Fund following the elections, for the second time since 2013, amid fears of a balance of payments crisis. "We have to finance this gap of the trade deficit of $25 billion by depleting our reserves. 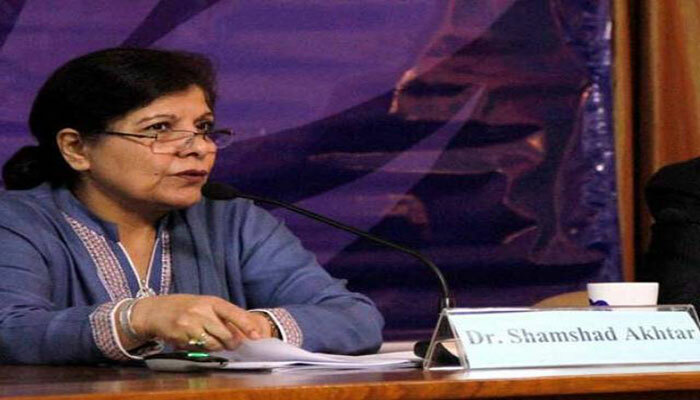 There is no other option," caretaker Finance Minister Shamshad Akhtar told a press conference. "This is a major worry which our government is facing." The announcement came hours after the central bank devalued the rupee by 3.7 percent, the third devaluation since December. A caretaker government was installed last week as the country prepares to head to the polls in late July, in what would be only the second democratic transfer of power in Pakistan´s 70-year history. The country relies heavily on imports and has struggled for decades to increase exports, with chronic power shortages and creaky infrastructure hampering growth. It is also saddled with a heavy public debt -- 70 percent of GDP, according to Akhtar -- along with a yawning fiscal deficit. The economy grew by 5.8 percent during 2017-18, missing a government target by two percent, according to documents from the finance ministry. Pakistan, plagued for years by a bloody homegrown Taliban insurgency, has been battling to get its shaky economy back on track and end the energy crisis crippling industry. Confidence has grown slightly in recent years, with security improving and the IMF claiming in October that the country has emerged from crisis after completing the bailout programme. The growth in GDP comes amid structural reforms, an improved energy sector and China´s ambitious multi-billion dollar infrastructure project -- the China-Pakistan Economic Corridor -- linking its western province of Xinjiang to the Arabian Sea via Pakistan. However fears remain about Pakistan´s ability to repay the Chinese loans, with much of their terms shrouded in secrecy.